The New Moon at 8 degrees in Libra occurs between the 30th September and 1st October 2016, depending on the time zone. Since in some areas of the planet it will be the second New Moon of September, it can be referred also as a “Black Moon”. Having a Black Moon, which is the falling of two new moons in the same month, is a very rare event. It indicates a time of great awakening and it usually signifies a powerful turning point in a cycle. This New Moon in Libra will be the first lunation after the eclipses occurred in September and for that reason it will support the disclosure of all the things that had been hidden by the previous eclipses, leading us through the process of death and rebirth already triggered by the three 9-9-9 portals. This New Moon will assist us in awakening to these endings, accepting them, but also feeling liberated, helping us to change direction in our lives. Libra is the sign of the choice, it is about weighting and balancing things, and it puts the individual between two worlds so that he might gain understanding of the highest and the lowest, the good and the bad, the sublime and the insignificant. 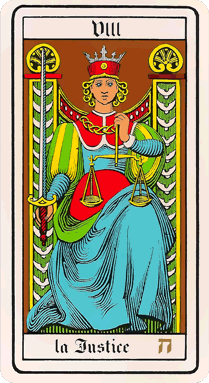 In Libra the balance of the pair opposites is sharply defined: on one side the lust of the material world and on the other the love of the soul. 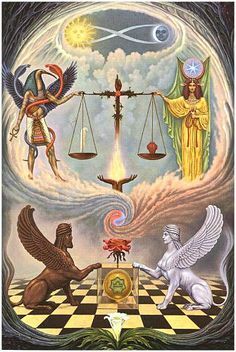 Libra rules the 7th House, which from the personality point of view is associated to any kind of partners, marriage and enemies, while from the esoteric point of view it refers to the Soul mate/special co-workers and the path of union between the personality and the Soul. This star sign is connected to the 7th Labour of Hercules – the capture of the Erymanthian Boar. From the symbolic point of view facing the Wild Boar, which represents truth, courage and confrontation, means to find the inner strength to face our self-deceit and weaknesses and accept the consequences of our actions. 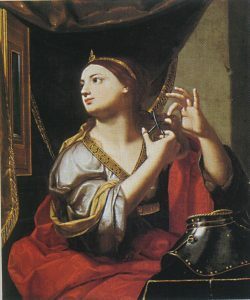 Libra has the tendency to avoid direct confrontation but the Wild Boar asks us to stop lying to ourselves and others, to be truthful, to have integrity, to be honest in all we do and have the courage to deal with the things and situations that we have been avoiding for a long time only to maintain a sort of apparent and superficial harmony in our life. The word Libra comes from the Latin libra, meaning a weighing scale, which refers to the process of librating or swinging from side to side, and for that reason from time immemorial the scales have been the principle attribute of justice, because it is “impossible to even a little right with any quantity of wrong” – (from “Brewers Book of Myths and Legends”). 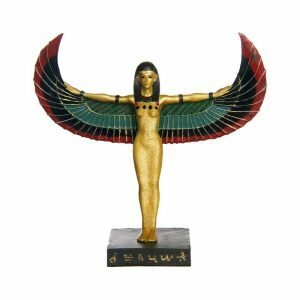 Libra is associated with the scales of Maat, the ancient Egyptian goddess of Justice, Harmony and Truth, who was the personification of the cosmic order and the representation of the stability of the universe. Her task was to balance the weight of the soul (considered to reside in the heart) against an ostrich feather in order to determine whether the soul was not burdened with sin and evil so that they could meet Osiris, symbolic of rebirth, in Paradise. Divine Justice, associated to the Tarot card 8, is related to Karma as the law of adjustment. In esoteric numerology 8 is the Universal Law, it relates to realigning Spirit and matter so that the material world may faithfully reflect the spiritual world: as above so below. 8 builds and destroys, it discriminates and it has an inner honesty. 8 is related to Saturn, the Lord of Karma, who is also the esoteric ruler of Libra on the Cardinal Cross, the cross of the Initiate. In the Kabbalistic tradition the month of Libra is controlled by the Hebrew letter Lamed, which, as its shape clearly shows, connects us to the spiritual source of existence. Lamed means “whip” and its aspiration is “the contemplation of the heart“. This letter talks about an inner conflict that we experience within in order to be able to search and do what God asks of us in each moment. It is all about letting go of the proud intellect and finding our role in the Plan. The Sabian symbol for this New Moon and Sun is “three “old masters” hanging on the wall of a special room in an art gallery“, referring to the need to return to the source during a confused search for a new value in a chaotic society (Dane Rudhyar). This symbol clearly refers to the esoteric lesson of Libra, which is about pondering upon the lessons of the past (Libra’s judgement): “Twice have you slain that which you should love. 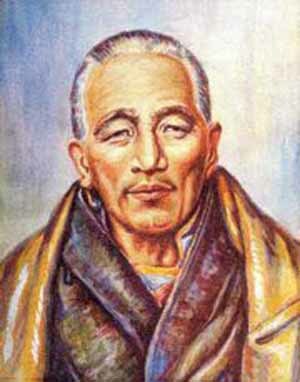 Learn why” – (Master Djwal Khul). Divine Justice readjusts what has gone out of balance, what is not in alignment with the truth of who we are. This is why most of the time in Libra the growth of the soul occurs through a sudden interjection of catastrophe into the pleasure-seeking existence of the individual. Archangel Michael with His sword of insight is the instrument for Divine Justice in order to align the inner and the outer life in our heart. The more we align to our inner life, the more we understand and the more we love, and as we are completely aligned, we become ‘systemic’, which means a ‘way-by’, an instrument, for the unfoldment of the Divine Plan. According to more ancient planispheres, this would be the new star that appeared to the Magi at the time of the birth of Jesus. Its conjunction to the New Moon refers to the possibility of the emergence of the soul consciousness within us. Uranus, the ruler of Libra on the Fixed Cross, will affect the New Moon from Aries through Mars in Capricorn. Uranus vehicles the energy of the 7th Ray of Ceremonial Order and Magic, “the Will towards Expression“, which supports the materialization of what is in need of objective manifestation through the process of fusion of Spirit and matter. Mars, related to the 6th Ray of Devotion, will provide the motive power for the working out of the purpose of the alignment of Spirit and matter through the soul. Capricorn is a sign of initiation; it is sometimes called the “signature of God”, as all the desires of the personality will find their own torn of satiety and disillusionment, because it is only when we are on our knees that we offer heart and life to the soul. Choice will appear at the door through Divine intervention. Everything will be set into place for the emergence of the will of the Soul within. “Winter falls upon us so that spring can bring a new growth. Cry the tears! Allow the longing!